The correlation between tight groove and good feeling gets willfully complicated in the music of DRKWAV. Composed of players bound by an antipathy for genre policing — the saxophonist Skerik, the keyboardist John Medeski and the drummer Adam Deitch — DRKWAV is a delivery system for improv-heavy psychedelic fusions. “The Purge,” its debut, is informed as much by the torqued jazz-rock of the early 1970s as by the dark ambient and drum ’n’ bass music of the early ’90s, while still pursuing an indeterminacy of style. Labels aside, one way to understand DRKWAV is to acknowledge its core audience. Skerik is known for his founding role in Critters Buggin and Garage Á Trois, and Mr. Deitch for his work with Lettuce. Mr. Medeski is the first among equals in Medeski Martin & Wood. All of these bands operate in the broad jam-band ecosystem, with pronounced expertise in the areas of funk and soul. 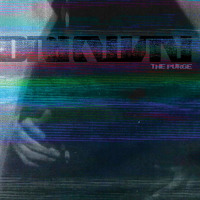 The departure represented by “The Purge” is largely a matter of tone, and its recording engineer, Randall Dunn, also listed as a producer, was an obvious factor. (His work involves a lot of artfully heavy music, by Earth and others.) The album’s overture is “Darkwave,” an eight-minute celestial event with a lashing beat and a lumbering melody, which Skerik overlays with a graffiti scrawl of arpeggiated runs. Something analogous happens on “Datura,” an even longer track, with a harder undertow. However irresistible the pull of electronic dance music, DRKWAV never tips fully in that direction: Its rhythmic base is forever rooted in real-time human rapport. Occasionally, on a Meters-esque track called “Scars” and a stutter-step prowl titled “Count Chokulous,” the grooves can call Medeski Martin & Wood to mind. “Shmeeans Kuti” — its title a nod to Fela Kuti and the Lettuce guitarist Adam Smirnoff, who contributes some overdubs — adeptly captures the rolling heave of Afrobeat.